For example, if a = 2 and p = 7, 27 = 128, and 128 − 2 = 7 × 18 is an integer multiple of 7. For example, if a = 2 and p = 7, 26 = 64, and 64 − 1 = 63 = 7 × 9. Fermat's little theorem is the basis for the Fermat primality test and is one of the fundamental results of elementary number theory. 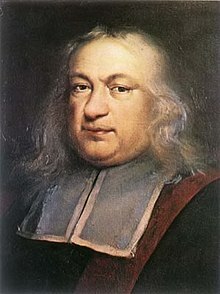 The theorem is named after Pierre de Fermat, who stated it in 1640. It is called the "little theorem" to distinguish it from Fermat's last theorem. Pierre de Fermat first stated the theorem in a letter dated October 18, 1640, to his friend and confidant Frénicle de Bessy as the following: p divides a p−1 − 1 whenever p is prime and a is coprime to p.
Et cette proposition est généralement vraie en toutes progressions et en tous nombres premiers; de quoi je vous envoierois la démonstration, si je n'appréhendois d'être trop long. Euler first published a proof in 1736 in a paper entitled "Theorematum Quorundam ad Numeros Primos Spectantium Demonstratio", but Leibniz left virtually the same proof in an unpublished manuscript from sometime before 1683. Für jede endliche Gruppe besteht nun ein Fundamentalsatz, welcher der kleine Fermatsche Satz genannt zu werden pflegt, weil ein ganz spezieller Teil desselben zuerst von Fermat bewiesen worden ist."